After launching Sparkpost.com in April (can’t believe it’s only been 6 months) I noticed that one of the first distinct groups of prospective customers that showed interest in SparkPost were SaaS service providers. These are companies who provide an online service to other companies (b-to-b) and part of that service includes sending emails. Examples are monitoring services that send alerts, content distribution services, and email service providers. It isn’t that I didn’t think about service providers, it’s just that I didn’t quite have my arms around the types of functionality that would be required to service them. I’m more equipped now. So last week we introduced the first of many enhancements to better serve our service provider customers, as well as companies with multiple brands: multiple tracking domains per account. Rather than just one branded tracking domain (also know as “engagement domain”) per account, you can now set up multiple domains. First things first, what’s a tracking domain? A tracking domain is the domain that a tracked link will redirect through before reaching the original domain and link. It is also used as the path for the tracking pixel to track message opens. 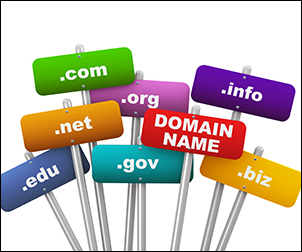 A recipient will see this domain if they mouse over a tracked link in an HTML message or if they receive a plain text message. If you don’t set up a branded tracking domain, recipients will see either spgo.io (which is the sparkpost.com default tracking domain) or the default domain that is set up in Elite when onboarding. Why is a branded tracking URL important? Because it builds trust with your recipients. You’re asking them to click on a link. If that link doesn’t have your brand in it, they make think twice. What if it’s a phishing or spoofed email? What if they get malware by going to some unknown site? If they see spgo.io, they’re not going to recognize it and may not click. If they see your branded link instead, they’ll trust that the message is coming from the right place and the links in it are safe to click on. So now, why we implemented multiple tracking domains: If you’re a service providers with many customers, or a company with multiple brands, you want the link to have the brand that customers expect. Instead of being limited to one, you can support multiple brands within one account and have the tracking domains match. And speaking of matching domains, to make the brand association simpler, we’ve made it easy to tie a specific tracking domain to each of your sending domains. That way any message coming from @brand1.com, can have click.brand1.com be the tracking domain automatically. Messages coming from @brand2.com can have click.brand2.com as the tracking domain automatically. And so on. More enhancements for service providers are on their way. In the meantime, set up a tracking domain for each of your brands and tell me what you think. Our new Events Search API's searching capabilities allow you to access the raw event data associated with the messages you send via SparkPost. Read up on SparkPost Signals, a great new feature that helps you find and fix the complex issues that affect email performance. SparkPost’s new beta feature, Recipient Validation, is an easy, efficient way to verify that addresses are valid before you send.